In April 2017, the US House of Representatives passed a bipartisan revision of the bankruptcy code, which would expedite the resolution of adequately structured intermediaries. This column considers the new Financial Institutions Bankruptcy Act of 2017 and how it fits in with the existing Dodd-Frank mechanism. By raising the odds of an effective resolution, the Act (as a complement to Dodd-Frank) boosts the credibility of the US regime. However, in the absence of an Orderly Liquidation Fund-like provision for temporary government funding, investors and foreign regulators will expect a future US government to re-introduce an ad hoc bailout mechanism when it is inevitably needed. Jane Lee Vris, Chair, National Bankruptcy Conference, (2017). Andrew Bailey, CEO, UK Financial Conduct Authority, in Fleming et. al (2017). The failure of Lehman on 15 September 2008, signalled the most intense phase of the Global Crisis of 2007-2009, fuelling a run on a broad array of intermediaries. Following Congress’ approval of the Troubled Asset Relief Program (TARP) funding that was used mostly to recapitalise US financial firms, the mantra of US regulators became “…we will not pull a Lehman”.1 Thereafter, to ensure that another large institution did not fail, policymakers chose bailouts to contain the crisis. As a result, today we still have intermediaries that are too big to fail. The autumn 2008 experience convinced many observers of the need for a robust resolution regime in which financial behemoths could be reorganised quickly without risk of contagion or crisis. The question was, and remains, how to do it. Dodd-Frank provided a two-pronged answer: the Federal Deposit Insurance Corporation (FDIC) would first rely on the bankruptcy code (Title I); and second, on a resolution temporarily funded (if necessary) by government resources (Title II). The second piece is commonly known as Orderly Liquidation Authority (OLA), which is funded by the Orderly Liquidation Fund (OLF). In response to dissatisfaction with parts of this solution, the US Congress and the president are working on refinements. Last month, the House passed a bipartisan revision of the bankruptcy code (H.R. 1667 Financial Institutions Bankruptcy Act of 2017, or FIBA) that would expedite the resolution of adequately structured intermediaries. Earlier this year, President Trump ordered a Treasury review of OLA, expressing concern that the OLF authorisation to use government funds “may encourage excessive risk taking by creditors, counterparties, and shareholders of financial companies” (White House 2017). In this column, we consider FIBA and how it fits in with the existing Dodd-Frank mechanism. To summarise, FIBA buttresses the first element of Dodd-Frank – making credible its reliance on the bankruptcy code. However, it does not substitute for essential parts of the second: (1) the authority to use temporary government funding (OLF); and (2) the ability to work directly with foreign regulators in cases (like Lehman) involving extensive operations abroad. Let’s start with a bit of background on US bankruptcies. 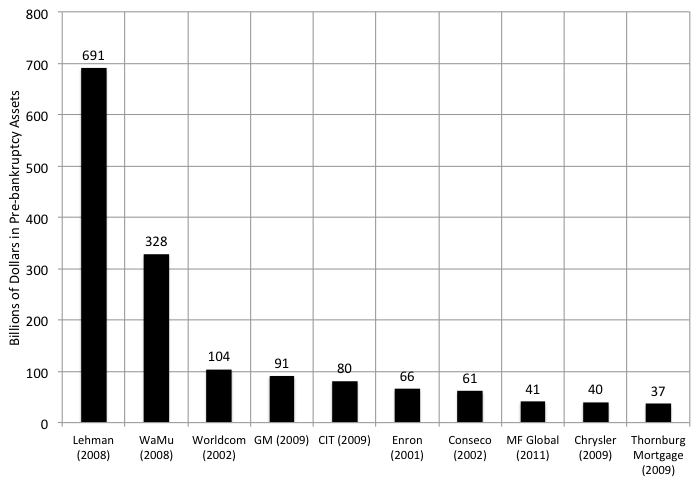 Figure 1 shows that at least six of the top ten US bankruptcies (ranked by pre-bankruptcy assets) were those of financial intermediaries. The Lehman bankruptcy, for which court proceedings are still ongoing, stands apart due to its size, complexity and international nature – it was larger than the next five combined. Unsurprisingly, bankruptcies often result in large losses to creditors – after more than eight years, senior Lehman bondholders have recovered about 42 cents on the dollar (Wilmington Trust 2017). The Chapter 14 idea, now embedded in FIBA, relies on specialised bankruptcy judges to undertake the reorganisation of an LCFI over the course of a weekend. The key to this system is its focus on the FHC. This allows for a single domestic legal proceeding, leaving all the subsidiaries to continue operating (in stark contrast to the dozens of proceedings for Lehman and its subs) (Miller and Horwitz 2013). Provided that the process is rapid, well-managed, and credible, the advantages of a bankruptcy procedure are substantial. The fact that they are based on decades of court decisions on property rights under the bankruptcy code makes them predictable. And, since they are judicial proceedings, they would clearly be consistent with the rule of law. Several recent developments make a Chapter 14 bankruptcy approach to resolution more feasible than it would have been a decade ago. The most important are the requirements that LCFIs create ‘living wills’ and that they issue significant amounts of long-term, unsecured debt. On the first, Adler and Philippon (2017) argue that living wills, which oblige systemic intermediaries to detail how they can be quickly and safely resolved, can be useful guides for resolution if they specify how long-term debt is to be used to recapitalise an insolvent intermediary. Related to this is the requirement for Total Loss-Absorbing Capital (TLAC) (Tarullo 2016). In December 2016, the Federal Reserve Board implemented a rule requiring systemic intermediaries to issue long-term and subordinated debt that, together with common equity, would create a minimum loss absorption capacity equal to 18% of risk-weighted assets or 7.5% of total assets. The FDIC’s current strategy (under Dodd-Frank) for resolving a systemic intermediary closely resembles the Chapter 14 approach embodied in FIBA. Dubbed ‘single point of entry’ (SPOE), the FDIC mechanism also is intended to complete the reorganisation over a weekend and is designed to work through the FHC, allowing uninterrupted operations of the subsidiaries (Federal Deposit Insurance Corporation 2013). One difference between the two methods is that, by focusing on court processes, Chapter 14 curtails regulatory discretion. As it stands, Dodd-Frank permits the FDIC to favour one creditor over another (subject to the proviso that no creditor be worse off than in a standard Chapter 11 bankruptcy). Some people have argued that the FDIC’s authority to provide select creditors more funds than they would receive in bankruptcy adds uncertainty to the process and diminishes effective counterparty discipline in normal conditions (e.g. Taylor 2017). This leads us to our first conclusion: where feasible, transferring the resolution process from the FDIC to the courts has significant benefits. But Dodd-Frank does more than FIBA: it created the OLA and OLF as well. In this sense, FIBA complements, rather than substitutes for Dodd-Frank. What most distinguishes Dodd-Frank from a pure Chapter 14 mechanism is OLF – the availability of temporary government funding. No intermediary, except for one that is 100% equity funded, will have adequate loss-absorbing capacity in every possible circumstance. As Adler and Philippon argue, the simplest solution is to have a temporary government funding backstop that acts much as ‘debtor-in-possession’ (DIP) funding works in ordinary bankruptcy procedures. DIP financing is often an essential component of a US corporate reorganisation. It gives the bankruptcy judge authority to allow the restructured firm to borrow in a way that subordinates the claims of prior creditors. A DIP loan can increase the eventual recovery value for prior creditors by allowing the firm to keep operating and earn profits. But DIP loans are generally small: according to one recent analysis, aggregate commercial (non-government) DIP funding peaked in 2009 at $22.5 billion, and was roughly half that amount as of 2014. Importantly, the biggest reported commercial DIP loan that we came across in a limited online search was only $10 billion, a fraction of the $54-billion loss of market value relative to book when the Lehman bankruptcy began. This mismatch between the availability of private DIP funding and the potential losses of a financial behemoth seriously understates the case for temporary government funding to make resolution credible. In a financial crisis, several systemic intermediaries may require speedy resolution at the same time. Precisely at such a juncture, private DIP funding is likely to shrivel – the usual lenders are either themselves systemic or (like leveraged hedge funds) dependent for their own funding on systemic intermediaries. Temporary government DIP funding is, in effect, a form of catastrophe insurance. Limiting that catastrophe insurance – and the resulting moral hazard – requires that we impose strict self-insurance requirements on LCFIs (in the form of high equity capital and TLAC thresholds). This constitutes private investors’ and counterparties’ ‘deductibles’ in a crisis. As catastrophe insurance, government DIP funding is analogous to the central bank’s role as lender of last resort and the government’s role as deposit insurer. In none of these cases would a private group have sufficient resources in a crisis. So, unless we limit the size of intermediaries, the government is an essential part of any resolution mechanism that may require DIP funds. While President Trump’s ordered review highlights the loss of market discipline from the availability of public funding, some forms of moral hazard are simply unavoidable. For example, the lack of a credible resolution scheme also creates moral hazard: namely, the likelihood that a future government facing a crisis will enact a bailout just as the US government did with TARP in 2008. Accordingly, we view regulation (particularly higher capital requirements) and supervision as the tools needed to overcome the moral hazard from OLF. Like the central bank and the deposit insurance fund, the OLF itself is an essential part of any policy framework intent on delivering financial stability. The other critical difference between Chapter 14 and OLA lies in the attitude of foreign regulators. The danger is that, without confidence in the US resolution process, and without the cooperation of an authorised US regulator, they may prefer to ring-fence assets in their jurisdictions (e.g. Carmassi and Herring 2015). In 2010, the Bank of England and the FDIC approved a memorandum of understanding designed to build mutual confidence about resolution and to limit the incentive to seize assets locally that would otherwise facilitate a fair and orderly global resolution (Bank of England and Federal Deposit Insurance Corporation 2010). The loss of such trust and cooperation could result in a race among regulators to grab assets that undermines efficient capital planning and eventual reorganisation, precisely the opposite of what a credible bankruptcy procedure aims to achieve. So, as the quotes at the start of this comment suggest, foreign regulators require reassurance that the evolving US resolution scheme will be a credible one. From our perspective, by raising the odds of an effective resolution, FIBA (as a complement to Dodd-Frank) boosts the credibility of the US regime. Over time, foreign regulators also may be reassured that the Chapter 14 mechanism is similar to the FDIC’s SPOE strategy, which they have welcomed. In both cases, the regime’s credibility depends on the presence of living wills and adequate loss-absorbing capital. Ultimately, however, neither investors nor foreign regulators will be confident in a resolution regime that lacks an OLF-like provision for temporary government funding. In its absence, they will expect a future US government to re-introduce an ad hoc bailout mechanism when it is inevitably needed. As a result, eliminating the OLF would neither limit too big to fail nor prevent the excessive risk taking that it feeds. Authors’ note: An earlier version of this column appeared on www.moneyandbanking.com. Adler, B E and T Philippon (2017), “Resolution Authority Redux,” in M P Richardson, K L Schoenholtz, B Tuckman and L J White (eds), Regulating Wall Street: CHOICE Act vs. Dodd-Frank, New York: NYU Stern School of Business: 49-68. Bank of England and Federal Deposit Insurance Corporation (2010), “Memorandum of Understanding Concerning Consultation, Cooperation and the Exchange of Information Related to the Resolution of Insured Depository Institutions with Cross-Border Operations in the United States and the United Kingdom”, 22 January. Carmassi, J and R Herring (2015), “The Cross-Border Challenge in Resolving Global Systemically Important Banks,” in K E Scott, T H Jackson and J B Taylor, Making Failure Feasible, Stanford, CA: Hoover Institution: 249-275. Federal Deposit Insurance Corporation (2013), “Resolution of Systemically Important Financial Institutions: The Single Point of Entry Strategy,” Federal Register 78(243). Financial Crisis Inquiry Commission (2011), The Financial Crisis Inquiry Report, Washington, DC: U.S. Government Printing Office. Fleming, S, G Tetlow and B Jopson (2017), “UK watchdog warns against scrapping US rules for failing lenders,” Financial Times, 23 April. Jackson, T H (2015), “Building on Bankruptcy: A Revised Chapter 14 Proposal for the Recapitalization, Reorganization, or Liquidation of Large Financial Institutions,” in K E Scott, T H Jackson, and J B Taylor, Making Failure Feasible, Stanford, CA: Hoover Institution: 15-58. Kapur, E (2015), “The Next Lehman Bankruptcy,” in K E Scott, T H Jackson, and J B Taylor, Making Failure Feasible, Stanford, CA: Hoover Institution: 175-241. Miller, H R and M Horwitz (2013), “Resolution Authority: Lessons from the Lehman Experiences,” presentation at the conference on “Resolution and Authority and Structural Reform,” NYU Stern School of Business, 11 April. Practical Law Finance, with contributions from K Steinberg and C Robertson (2015), “Key Developments and Trends in DIP Financing,” 19 February. Tarullo, D (2016), “Draft final rule establishing total loss-absorbing capacity, long-term debt, and clean holding company requirements for global systemically important banks,” memorandum to the Board, Board of Governors of the Federal Reserve System, 5 December 5. Taylor, J B (2017), “Testimony on the Financial Institution Bankruptcy Act,” testimony before the Subcommittee on Regulatory Reform, Commercial and Antitrust Law of the Judiciary Committee of the House of Representatives, 23 March. Vris, J L (2017), “Resolution of Systemically Important Financial Institutions,” 17 March. White House (2017), “Presidential Memorandum for the Secretary of the Treasury,” 21 April. Wilmington Trust (2017), “Notice to the Holders of Senior Notes of Lehman Brothers Holdings Inc.” 6 April. See page 380 of Financial Crisis Inquiry Commission (2011). See Kapur (2015) for a description of bank runs as the outcome of a prisoners’ dilemma. See Jackson (2015) for a recent description of Chapter 14. See Practice Law Finance (2015) for a discussion of DIP financing.